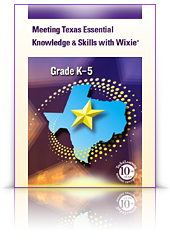 Wixie has a library of hundreds of curriculum-aligned activities teachers can assign to students. Pull from existing activities, customize them, or design and assign your own. Original student work can also be correlated to the Common Core State Standards, Texas TEKS, and Virginia SOLs. 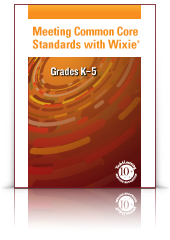 When student work in Wixie is connected to curriculum standards, teachers can see how students are progressing toward their curriculum goals. This image shows only Common Core standards due to user settings. Students need to create to learn. Rote practice may seem like the fastest way to improve test scores, but makes learning boring. Wixie is an exciting productivity tool students can use to show what they know, organize their thinking, and develop powerful products. Even if you are practicing with virtual manipulatives, you can get students making in math with Wixie. Show students how math connects to art and design with projects that ask them to create with patterns, tessellations, building, and composing. In English Language Arts, students can practice reading, writing, speaking, and listening as they write, create supporting illustrations, and record narration. It's no fun memorizing grammar rules, but making a Khan Academy-style how-to video to teach other students grammar rules can be an opportunity for students to take pride in their knowledge and effort. Students can share their work in Wixie through a URL or export as eBooks, PDFs, comics, trading cards, and more. Any of these product options provide authentic opportunities for narrative, expository, or persuasive writing. Students can also use a range of graphic organizers to support their research and thinking during the research and writing process. Work with informational text doesn't have to be boring. You just have to change the product students create to add excitement and originality to their work. Wixie guides and ideas pages can help you get started! Tech4Learning has developed guides to show you ways you can use Wixie to support your curriculm and learning goals. 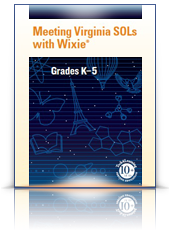 Each grade level includes over 20 pages of activities and how to implement them, success stories from Wixie-using educators, and high-level lesson plans. Click the links or images to download guides for Common Core State Standards, Texas TEKS, and Virginia SOLs. Whether you are just getting started with Wixie or looking for new ideas, there are many ways to use Wixie to more effectively engage students with content and help them meet standards and learning goals.